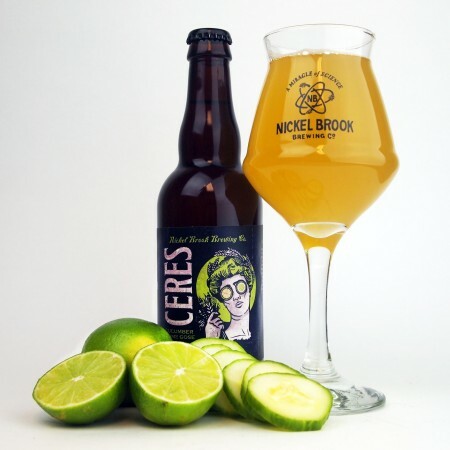 BURLINGTON, ON – Nickel Brook Brewing has released more details for a sour and funky beer sampler pack that was teased earlier this month, as well as confirmation that one of the included beers will also be available on its own. 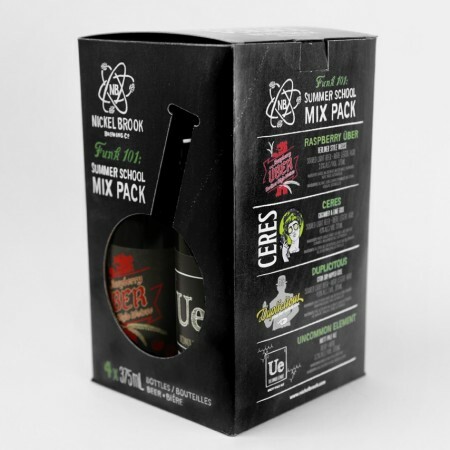 Funk 101: Summer School Mix Pack will feature 375 ml bottles of four beers from the brewery’s Funk Lab series: Raspberry Uber (Berliner-style weisse with raspberries), Ceres (cucumber & lime gose), Duplicitous (Citra dry-hopped gose), and Uncommon Element (Brett-fermented American pale ale). It will be available at LCBO and licensed grocery store locations throughout Ontario in mid-May. All four beers will also be available on draught throughout the summer, along with a variety of other one-off Funk Lab beers.